Employers have a statutory obligation to provide fire safety training in the workplace. 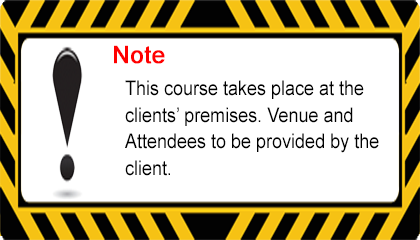 Clive Kelly Safety provides on-site fire safety training, in accordance with the fire services act for clients throughout Ireland. The course can be tailored to meet the needs of the client and can be structured to take the working environment into account. At the end of the training course participants will be able to safely use portable fire extinguishers and fire blankets in accordance with the relevant regulations. This training course provides participants with a good knowledge in fire safety theory and hands-on experience in the safe use of extinguishers to extinguish a Live Fire. We can do a theory based course in an office/training room environment only or we can do the theory and then go outside and use fire extinguishers. We have received very positive feedback for this course and participants appreciate the hands-on practical training experience. 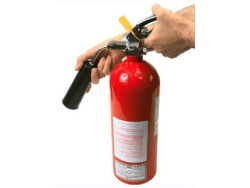 There are 4 types of fire extinguisher used namely, Dry Powder, Foam, Carbon Dioxide and Water. We also use a fire blanket on the practical. The Fire Extinguisher Training course is of up to 2.5 hours duration based on a group of twelve (12) persons. We can deliver the courses on a site of your choice. We provide a Nationwide service.